Scientists discovered an amazing underwater lake in the Gulf of Mexico that is incredibly toxic -- so toxic, in fact, that they believe it kills any living thing, besides bacteria, that ventures into it (video below). Temple University biology professor Erik Cordes discovered the underwater lake, known as the Hot Tub of Despair, while exploring the Gulf in 2014. “When they fall in they die and get pickled and preserved,” he said. “There’s a lot of people looking at these extreme habitats on Earth as models for what we might discover when we go to other planets. The technology development in the deep sea is definitely going to be applied to the worlds beyond our own,” Cordes added. Video of the lake quickly went viral, with some viewers expanding on the reason for its incredible toxicity. “This 'Hot Tub of despair' is actually dangerous. Because there's so much salt and sodium, that instead of saltiness it's actually toxic and burns every living things. These organisms die by touching it, and with the sodium, even breaking the wall, it'll build up in few minutes because of sodium building up. 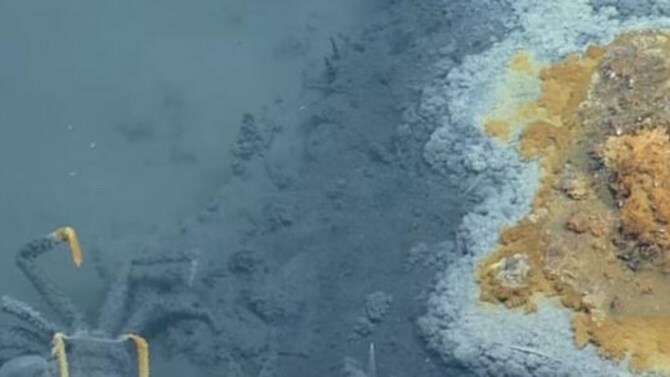 Trust me, the salt range is so high,” one viewer commented on EVNautilus’ video.